Key Features of Windows Servers include: Increased Virtualization Capabilities, Scalability & Reliability, Improved Desktop Virtualization and Improved Performance among other benefits. Many organizations have found that going virtual has reduced their overall electricity consumption for server computers by 80 percent. This savings is a direct result of using less computer hardware to do more work. For example, one host computer running ten virtual servers uses approximately one tenth of the energy used if each of the ten servers were run on separate hardware. You can typically save a lot of money by reducing hardware costs when you use virtualization. For example, instead of replacing two or three host servers that cost $5,000 each, you can benefit from scalability of Hypervisor server host that provide you with five or even ten Virtual Machines that can run any server Operating System you might need. You’ll probably end up spending $7000 or $9,000 on a Hypervisor host server that can scale up. One of the biggest benefits of virtualization is not the cost savings, but the ability to quickly recover from hardware failures. For example, suppose your organization has ten servers each running on separate hardware. If any one of those servers goes down due to a hardware failure — say a bad motherboard — that server will remain down until you can fix the computer. On the other hand, if those ten servers are running as virtual machines on two different hosts and one of the hosts fails, the virtual machines that were running on the failed host can be brought up on the other host in a matter of minutes. Granted, the servers will run less efficiently on a single host than they would have on two hosts, but the point is that they’ll all be running after only a short downtime. In fact, with the most advanced hypervisors available, the transfer from a failing host to another host can be done automatically and instantaneously, so downtime is all but eliminated. Besides the benefit of recoverability when hardware failures occur, an even bigger benefit of virtualization comes into play in a true disaster recovery situation. For example, suppose your organization’s sever infrastructure consists of 20 separate servers. In the case of a devastating disaster, such as a fire in the server room that destroys all hardware, how long will it take you to get all 20 of those servers back up and running on new hardware? Quite possibly the recovery time will be measured in weeks. In contrast, virtual machines are actually nothing more than files that can be backed up onto tape. As a result, in a disaster-recovery situation, all you have to do is rebuild a single host computer and reinstall the hypervisor software. Then you can restore the virtual machine backups from tape, restart the virtual machines, and be back up and running in a matter of days instead of weeks. Any admin tasked with upgrading from Windows Server 2008 R2 up to Windows Server 2012 likely remembers what a process it could be. First, all resources had to be moved off the server, which then needed to be completely rebuilt. This included making a new cluster with new storage. The good news? Upgrading from Windows Server 2012 R2 to Windows Server 2016 should be a much more streamlined process. Resources will still need to be live migrated off a server, however, from there it works like a regular Windows upgrade. There’s no need to create additional storage volumes or new clusters. Disaster recovery and business continuity are all about peace of mind and Windows Server 2016’s Storage Replica feature provides exactly that. Storage Replica generates that peace of mind through SAN-style volume replication. For the first time, Windows Server will be able to synchronously protect data across racks, buildings, locations, etc. After disaster strikes, admins can rest assured their data will still be available to them. Should they catch wind of a problem early, admins also have the power to manually switch workloads over to a more secure location, again addressing the data loss concerns. PowerShell Direct isn’t the only new feature promising Hyper-V admins the “best of both worlds.” Storage Spaces Direct let admins build highly-available, flexible storage out of their existing local storage. This feature lets admins join together local hosts. Once connected, Storage Spaces Direct will then protect the data contained in those newly created storage systems. In this way, Storage Spaces Direct combines the benefits of shared storage with those offered by cost-effective local storage while eliminating the risk of local disk failures. This feature is a bit like a Russian nesting doll of virtualization in the sense that it allows Hyper-V to run within a Hyper-V virtual machine (VM). Virtualizing the Hyper-V host in this way opens up a few interesting use cases for admins and developers. For example, deploying a Hyper-V lab in an environment that is already virtualized or executing multi-machine test scenarios without the need to have each subject supported by individual hardware. Another interesting aspect of Nested Virtualization is that it makes it possible to containerize Hyper-V itself. 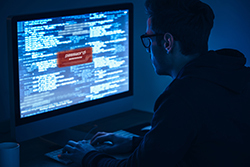 Most organizations have taken steps to protect VMs against fellow VMs should they be compromised. What about protecting VMs from compromised hosts? 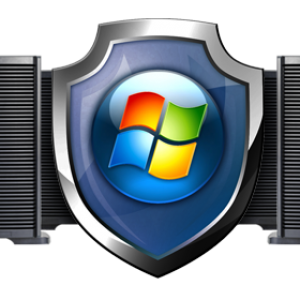 Windows Server 2016 addresses this need through Shielded VMs. This feature encrypts VMs using Bitlocker, gives them a virtual TPM, and makes it so they can only run on select, healthy hosts. Shielding VMs prevents a compromised host from wreaking havoc within an environment. It also ensures that, should a VM find its way outside of an approved environment for any reason, it will not run. Previously, Hyper-V admins had essentially two types of tools at their disposal to connect a VM on a Hyper-V host. They could use either remote management tools (i.e., PowerShell) or VM Connect. Each option had its advantages and disadvantages. Windows Server 2016 PowerShell Direct feature provides a best of both worlds approach, joining PowerShell’s scripting and automation with VM Connect’s zero-configuration. The result can eliminate the need to configure firewalls and connect to the network in order to use Hyper-V VMs to automate processes. 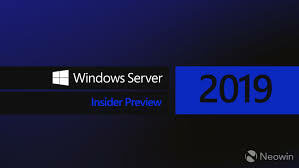 Windows Server 2019 Essentials has the same licensing and technical characteristics as its predecessor, Windows Server 2016 Essentials. If configured as a Domain Controller, Windows Server 2019 Essentials must be the only Domain Controller, must run all Flexible Single Master Operations (FSMO) roles, and cannot have two-way trusts with other Active Directory domains. First and foremost, customers currently using Windows Server 2016 Essentials will be supported according to Long Term Servicing Channel (LTSC) servicing timeline. Windows Server 2019 Essentials will not include the Essentials Experience role. The Essentials Experience primarily simplified file sharing and device management. For a better management experience, we now have Windows Admin Center. For companies with more than 25 users/50 devices, or companies that have potentially grown beyond 25 users, Windows Server 2019 Standard – and potentially the Datacenter edition – can provide more flexible deployment options.